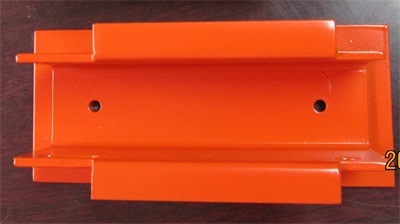 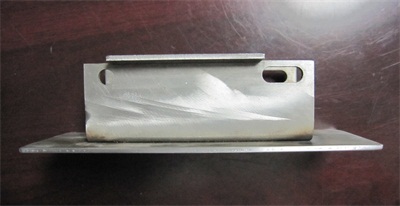 This metal bracket is called bucket, carrier or clamp, which is used on injection molding machine, to fix the digital display on the machinery body, many brackets or clamps are used to hold electronics or goods on the body or on the wall, the metal brackets / clamps can be "L"shape,"M"shape, "U"shape,etc, which are mainly formed by metal stamping, the material can be flexible like iron, steel, stainless steel, aluminum, spring steel. 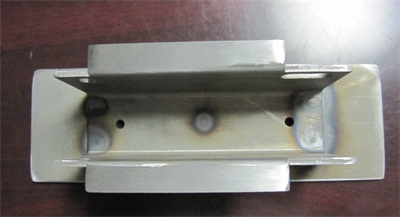 Metal bracket, metal clamp are widely used as holder/joint in lighting, bearing, CCTV camera, LED TV, Air -conditioner, etc, this special bracket is used on injection molding machine and exported to USA, the "U" shape bracket will be spot welded on the bottom plate without any gap, grinded bottom and "U" shape smoothly, then, painted in red, the material is common steel(SGCC) with 3.0mm thickness. 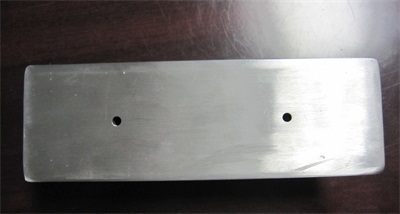 Size 115X50X70mm, serial sizes are developed.